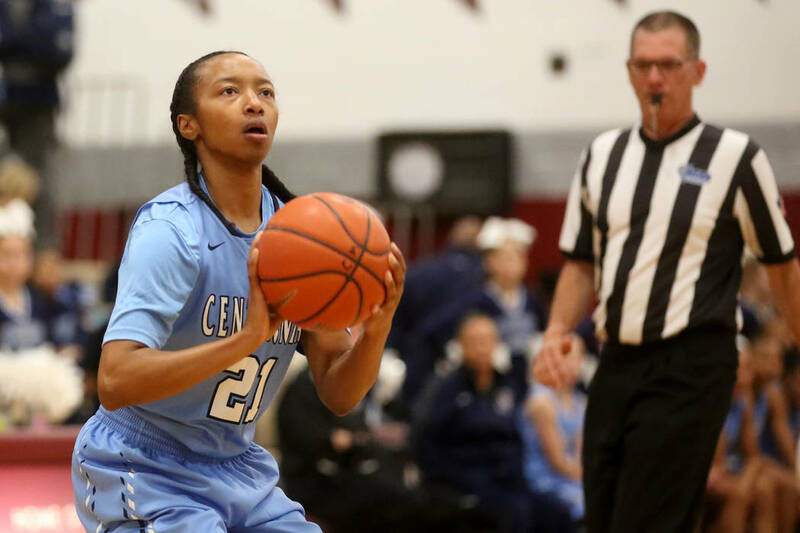 Centennial guard Justice Ethridge was named the 2017-18 Gatorade Nevada Girls Basketball Player of the Year, the company announced Monday. Ethridge averaged 15.5 points, 3.8 rebounds, 1.5 assists and 2.2 steals for the Bulldogs, leading them to their fourth consecutive state championship. In the title game, she scored 24 points in the state title game, sparking a rally to overcome a 15-point deficit and help Centennial beat Liberty in overtime, 74-65. She also helped the Bulldogs reach as high as No. 6 in the USA Today national rankings. She is signed to play at UNLV, and is rated as the No. 22 guard and No. 91 overall player in the Class of 2018 by espnW. Ethridge becomes the second Centennial athlete in a row to earn the award, joining Samantha Thomas, who won last year. Other Bulldogs to win include Jada Brown (2012), Alexis Byrd (2010), Italee Lucas (2007) and Ashley Blake (2005). The last non-Centennial player from Southern Nevada to win was Liberty’s Amanda Delgado in 2011.